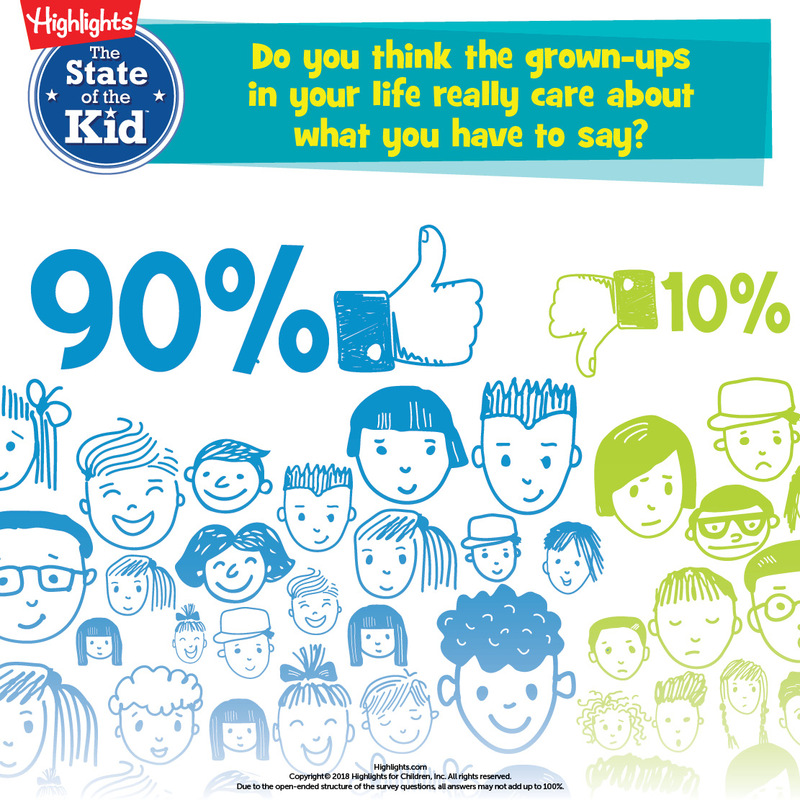 Nearly all kids—90%—feel heard by the grown-ups in their lives. Parents can feel great about the fact that our children report their voices are heard in family life, that most parents make eye contact and really listen to what their children have to say. The top reasons kids, especially younger kids, ages 6 to 8, feel this way? They told us that grown-ups listen to them and ask questions, they love and care about them, and they think kids are important because they are the future. The 10% who replied “no” stated that they feel this way because the grown-ups in their lives ignore them, don’t think they are capable, or are too busy with their own lives to care. 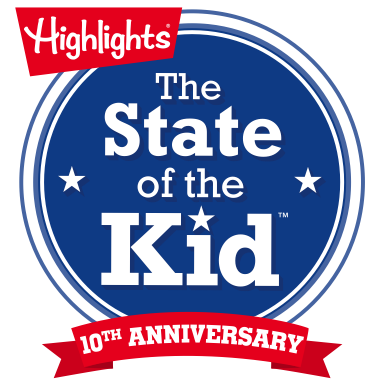 Some survey respondents said that their parents are too busy or think kids don’t have enough experience and knowledge to be listened to. We know that when we lean in and truly listen to kids, we learn so much about them. Having an open line of communication with your children, where they know they can come to you with thoughts and worries, will go a long way in fostering their confidence to speak up and say what’s on their minds. And actively listening to young children now—when they are very open to conversing with parents—builds trust and a bond that can be leveraged later when children are teens and may be less communicative.